The “prime directive” of Holographic Health® is “World Peace through World Healing”. This idea encompasses a wide variety of approaches, including four sub-directives. These are to feed, clothe, nurture, protect, teach, and heal. To realize and manifest these ideas, I sponsor a program in India, Nepal and Tibet that is aimed at helping needy children, elderly people and their families. 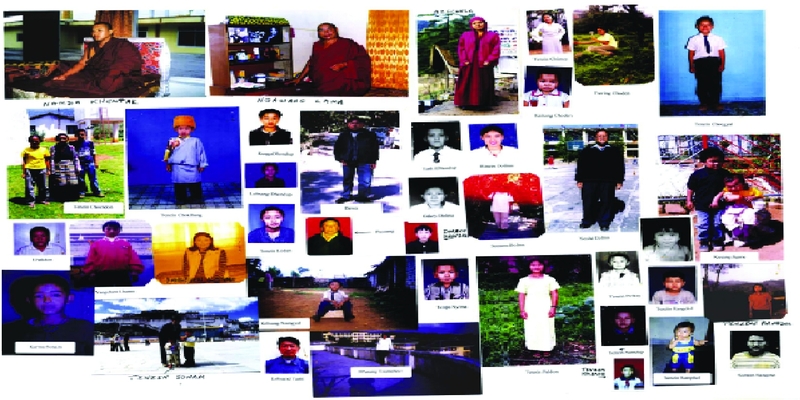 It focuses on the displaced Tibetan children, young people and elderly that have been mostly forgotten by the world. Many of the elderly are sick and destitute. After a very hard life of escaping from Tibet into India with only what they could carry on their backs and leaving their homes forever in the 1950s and 1960s, they worked as menial laborers on jobs such as laying railroad tracks at high altitudes. Now, they are truly disabled and very poor. The Tibetans are a wonderful people. They are warm, friendly, smart and motivated to work for their own betterment. They are pacifists by nature and deep believers in God. Their letters to me are full of love and appreciation. It is my desire in Holographic Health® that the gifts of God bestowed upon myself and this business be shared with others less fortunate. Holographic Health, Inc. agrees to take most of its yearly earnings, minus operational costs, and disperse them to the Tibetan people through our carefully monitored network of administrators and volunteers. I sponsor Tibetan people in India to distribute the money once it is there. Consequently, I have developed an honest and hardworking core of helpers who are totally devoted to the welfare of their own people. I can confirm that every dime is actually getting to these people and their hard-working families. There is no middleman to take a cut. All people involved are totally volunteering their time, including the Tibetan lamas in India and the U.S.A. who help administrate and distribute the funds. The money has to be actually hand-carried into Tibet! These tasks of proper distribution and careful handling of the funds are not to be taken lightly and demonstrate the high integrity of the helpers involved. Know that each time you purchase a bottle of food supplements, a book, or anything else from us that some Tibetan person somewhere is benefiting. You actually get two benefits from this. First, you gain spiritual merit with your purchases by entering into this worthwhile covenant with Holographic Health®, just by association. Second, you get the benefit of the products themselves. For us here in the U.S.A., we can increase our vitality and body strength by using nutrition through the foods we eat and the food supplementation available in Holographic Health®. For others in less fortunate situations, such as the Tibetans, the monies you spend with us can help increase skill levels for the younger people through education and inspire hope for a bright future. For the elderly, it gives them comfort at the end of a hard life. Every act we do, no matter how small, is recorded in the spiritual realms of God. Through service to others -- family, friends, clients, or the poor and destitute that we may never physically meet -- we gain true spiritual merit and begin the birth of sincere compassion. Do you wish to know life and love abundant? Love doubles back to you all the energy you give. Than truly helping someone else to live! OTE: The information given here is strictly for educational purposes. Dr. Baroody does not prescribe, treat, diagnose, or recommend for any health condition, and assumes no responsibility. In no way should this information be considered a substitute for competent health care. These statements have not been evaluated by the Food and Drug Administration. These products are not designed to diagnose, treat, cure, or prevent any disease.